The good news is that you only do this filling out step just once with the System. The bad news is that sometimes once is one time too many for a lot of people. 1. 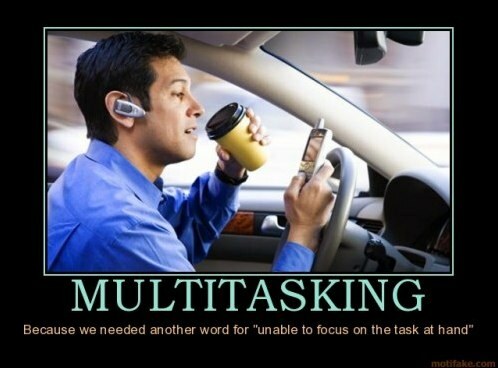 You’re Multitasking. You work ten-hour days and still come home to feed the kids, clean your home, get invitations out for your daughter’s birthday, study for a new job, prepare for the next day, clean the car... the tasks are endless. On your computer you have 5 windows open and flick from one to another to check email, Twitter and Facebook every few minutes. TRY THIS: Slow down. Stop. Sit down in a clear space and have only the things you need for the tickets... your printout of the instructions, your tickets, pen and an envelope. Do them late at night or early morning so you can clear half an hour of ‘you’ time. 2. You Can’t Focus. After a few minutes the figures all look the same and you lose enthusiasm. Your brain is fuzzy and you lack energy. So you throw yourself on the couch for a break. Trouble is, you're getting nothing done. TRY THIS: Have a cup of coffee or tea beforehand. Sneak in a biscuit or cookie. The brain uses sugars to get energy to think, so this will give it a kickstart, even though it is a short term solution. Don’t rely on it, because the glucose low kicks in 20-30 minutes later! 3. You’re Stressed Out. You have work problems, home problems, driving problems, the weather is freezing and you can't stay warm. It can get all a bit overwhelming at times, and the world seems a miserable place. This affects your enthusiasm in a negative manner. Problem is - you need to be positive to get started and continue with playing the lottery. How can you change your thought patterns? TRY THIS: Turn off the news on tv and online. Much of the important events in the world you’ll hear about on the work grapevine. Or if it’s really bad like an earthquake or war, you can bet someone will ring you and share it. Most of the news we see is sensationalised and only serves to depress you. Once you cut that out of your evening, your mind will be fresh and open to new ideas. That will carry through to everything you do, including filling out your tickets. Remember - playing the lottery is an exciting game. It’s entertaining fun, and the expectation of winning is always there. Once your tickets are filled out, your journey is over. You won’t believe how easy it is to play and win from now on. OK i tried many other lotto programs and they all stank. i piled money in and got nothing back. So i tried yours. Then last week I got $77,000. wow!!!! I never had that much money in my life its like 2 years wages all at one time. First thing I did was to get my cards paid of. Then I treated my G/F and family out. Thanks!! !